Rwanda genocide memorial museums are located in various areas which were mostly affected by the 1994 tragedy in Rwanda which left hundreds and thousands of people killed in the blood shade between the two tribes of Hutu and the most affected Tutsi. Currently the genocide sites in Rwanda are now acting as one of the very significant tourist attraction as many travelers from different parts of the world take safaris and tours to Rwanda to pay visit to any of the memorial museums. Rwanda Safaris and tours organize itineraries for visitor to visit Gisozi Memorial site which positioned in the Gasabo District in Rwanda and its where most of victims of Tutsi Genocide are buried from the year 2000. A visit to this memorial site will expose the visitors to the cemetery which is a house showing various events on Genocide section. 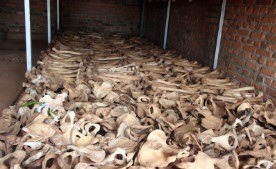 Gisozi memorial site is an estimate of around 300,000 genocide victims were laid to rest. To visit this place while on Rwanda safari is very vital as it open the doors for you to understand the tragic ethnic conflict that befell Rwanda in 1994. Nyamata memorial site is yet a very important genocide Centre located in the Bugesera district. Its place where most of people ran seeking for refuge in the Catholic Church but unfortunately on the month of April year 1994 they follow those who ran to the church and they were killed and about an estimate of 10,000 people were killed in this place. The place therefore acts as reminder of the scaring violence memories which took place in this place. The other interesting site is the Ntarama Memorial site which is located just 30 kilometers south direction of the Rwanda’s capital city Kigali. Ntarama Church is where most un merciful killings of the 1994 Rwandan genocide occurred and to prove this the floor of the Church at Ntarama has never been cleaned right from the time the genocide took place and paying tour to this place will give one chance to see the remains of the people who were killed and among the remains are bones, pots, wallets, shoes, vertebrae, skeleton, mention but few. Gisenyi Memorial site is one of the must see memorial sites in Rwanda and its where the grave of Madame Carr, an American who was running an orphanage for the genocide orphans which was called Imbabazi. Besides the a above, there is also Bisesero Memorial site which is positioned in the district of Karongi. In this site almost 27,000 victims were laid rest in this place ad these victims were killed after long resistance as well as self-defense they tried but later they sold by the French soldiers. This historical site made of nine small buildings which stand for the nine communes that constituted the Kibuye province. This offers remarkable memories on your safari in Rwanda.